GiGi Lavender and Vanilla Hair Removal Strips for the Face lift away unwanted hair, leaving your skin soft and beautifully smooth for weeks. These easy to use scented wax strips are enhanced with floral notes of Lavender and Vanilla to calm the senses while removing unwanted hair. The lovely Lavender scent soothes while the Vanilla fragrance promotes relaxation. 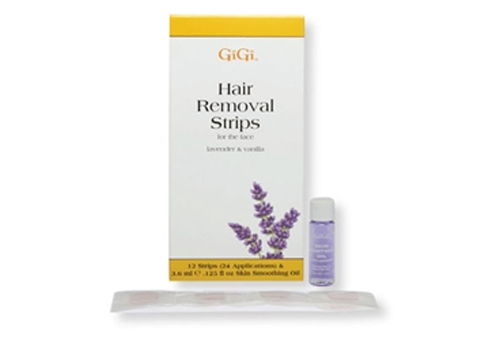 With these simple, safe and easy to use hair removal strips, there is no need for tweezers, electrolysis or depilatories.